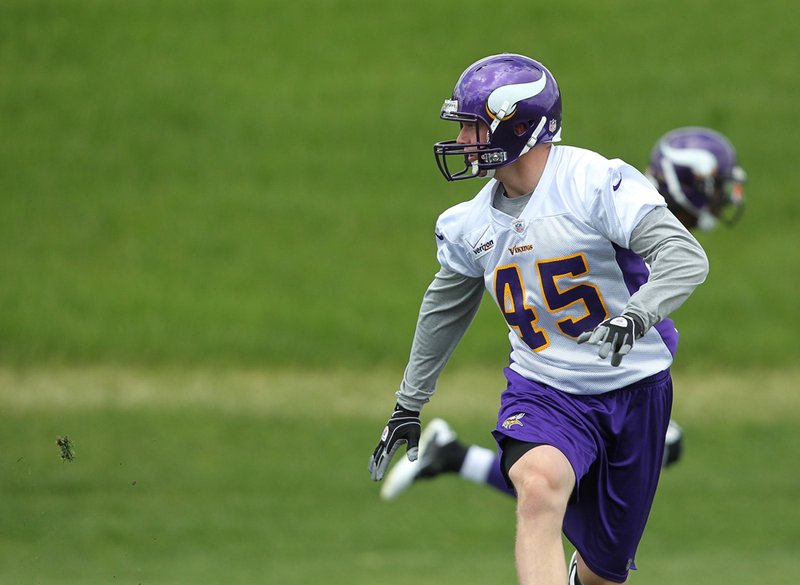 Tyler Nielsen is viewed as one of the best undrafted free agents from the 2012 NFL Draft. Despite his undrafted status, Tyler Nielsen has a legitimate opportunity to make Minnesota’s 2012 roster. Sports Illustrated projected him as a sixth- or seventh-round draft pick. Yahoo! Sports blogger Doug Farrar named Nielsen as one of the 18 best undrafted players on the defensive side of the ball. He's a talented player with NFL skills. Nielsen is a tall (6’3”) linebacker who started all 12 games of his senior season at Iowa and the eight games he was healthy for his junior season. It sounds as if his style of play will fit right in with the Vikings: He's strong against the run and struggles against the pass. Don’t look for Nielsen to come near serious playing time in 2012, but given the lack of depth at the position, he should have every opportunity to make the 2012 active roster.